With communion and confirmation season almost upon us, we’ve picked some of our favourite high-street dresses that won’t be too hard on the bank, all dresses come in under €77. There is plenty to consider, and plenty to stress about when it comes to suitable and appropriate attire for Communions and Confirmations. It’s not quite as dressy as a wedding, but far more dressy than a typical Sunday. You probably will want to cover up to some degree, not too much leg on show(or other body parts! ), especially in the church. Budget and style are a priority in this column, so with all these factors in mind, we have put together a few Lookbooks to give you some inspiration. If you’re like me, and favour comfort but enjoy style, this wrap dress from Warehouse could be the perfect option. A flattering shape, sleeves to cover the upper arms, and easy to wear i.e, sit down without sucking it in, and eat your dinner in peace without worrying about a food baby. Floral print is bang on trend at the moment too, perfect for this time of the year. 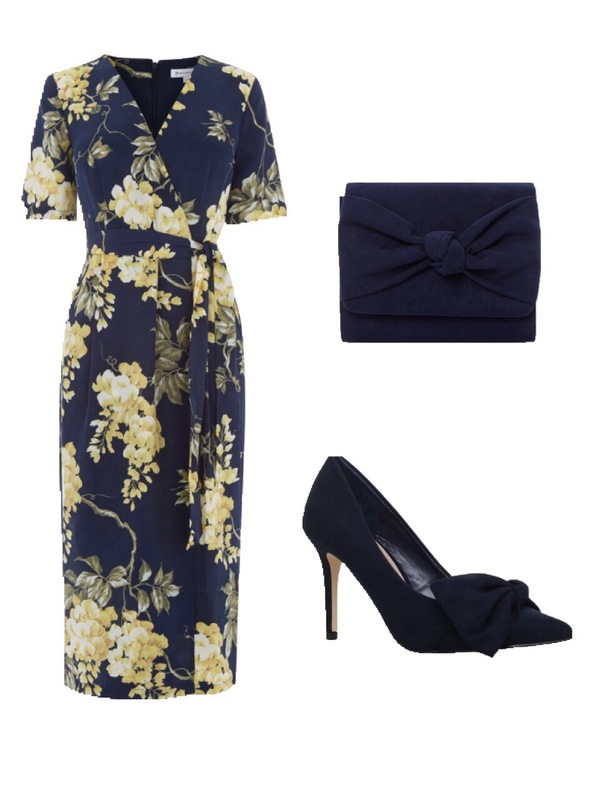 The shoes and bag with the bow finish the look perfectly (both from House of Fraser). We hope that provided some inspo for you Mammys, aunts, Godmothers, who find themselves in the midst of planning your little ones big day. The number one thing, no matter what the occasion, regardless of current trends, is that YOU are COMFORTABLE in what you are wearing. Although, that’s coming from me, where comfort is my number one priority in life. Did someone say tracksuit bottoms and hoody??? We hope you have a great day, no matter what you end up wearing, and create memories to last a lifetime. Next Post Budget foundations…. tried, tested, reviewed!